I am Devang Mathur from Jaipur,Rajasthan. I have passed my 12th with commerce and now on wards i'll take my Graduation Degree, sir my main aim and objective is only for the Indian Police Services. I have checked all the syllabus of this Civil Service Exam and now i am little bit confused with the optional subjects, sir because now i have to choose my graduation subjects for my College i want to ask u that which Subjects should i choose now in my Bachelor of Commerce degree(B.Com) for my graduation which will be helpful in my further Subject Selection from the UPSC subject Lists because then if there'll be some similar subjects with now ,it can be more helpful for me !! 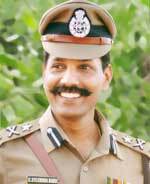 I am extremely happy to know about your noble ambition of becoming an IPS officer. can even have combined study that is always fruitful. base in general knowledge that is the bedrock of success in civil services examination. Keep doing that . it and file it separately. please go through such reports often to familiarize with the subjects. In due course you will understand what is important and what is not. Sir I am extremely Happy to see your Reply.... Sir always you'll be a great mentor for me that I know !! Sir definitely i'll try some good colleges in Delhi...thanks for your great advice but in last few days i have meet some Counselors and they said that now onwards there will be no subject selections in Mains,there will be only a CSAT pattern....i wanted to ask this from uh because i am little bit confused about the Exams pattern of UPSC that there will be a option of subject selection or not ?? COMMISSION will remove it in the mains of 2016.